I sat there, sitting on the railing as my feet dangle in mid-air. All I could hear was the gentle breeze, and the quiet night. I sighed as I was calm as the breeze came and brushed my hair all over the place. I rubbed my eyes as I made my way to the rooftops. I was still in my PJs; a pair of shorts and a t-shirt. I heard a noise up here, thought I'd check it out. Opening the door to the roof, I saw him. It was Rain Kurururgi, my cousin. He was up later than usually, seemed kinda weird. I stood next to him, leaning against the railing, "What are you doing up? You could fall you know.." The breeze blew my long-pink hair in the wind. I stared off looking at the city lights. I heard my cousin Sia walking up the stairs and out on to the rooftops, as I turned my head around and said. "Hi Sia..and nothing really just thought I would spend the night up here." I looked at him, "Up here? Of all places? I question you, Rainy." I smiled, looked at him, "What have you been doing lately? I haven't seen you in days." I took off the white hairband around my wrist and bit it, getting my hair ready to be put into a ponytail. He seemed to calm today. I tied my hair and sat backwards on the railing, my back facing the city. Me facing the water. I liked living in a city near the ocean; it being so peaceful. I turned to my side and looked at my cousin. In a way, he looked older than I last saw him.. how weird. I hope my brother didn't change. "Oh come on Sia..you know me Ill pick the most calmest place every and feel relaxed." I said as I stood up from the railing, I stretched out a bit, as i placed my hands on my head and closed my eyes. "So Sia.." I said as i opened my eyes looking at my younger cousin. "You look taller then the last time i saw you." I said as I walked up to her, placing my hand on top of her head, smiling. 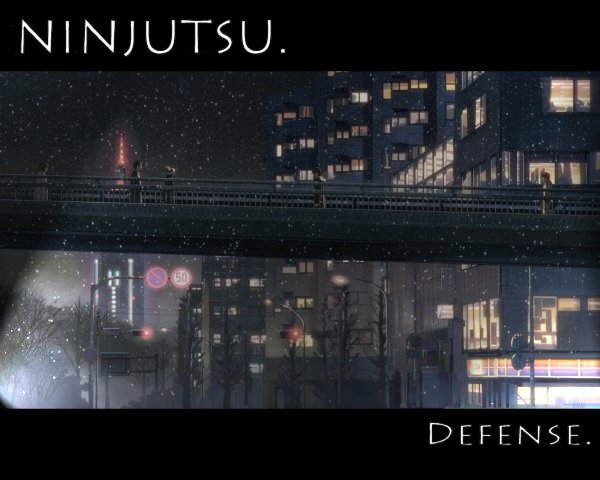 "Yeah..." I leaned against the rail, my elbow on it, my hand supporting my head as I stared at the city. "You look so old." I smiled and laughed, until I heard more footsteps coming. That wasn't good.. I hope it wasn't dad.. I looked at Rain, "I should go. It's late... plus there's school tomorrow." I smiled then jumped over the railing, using my wind magic to cushion my fall to the ground. The nearby cars looked at me kinda weird as I fell, but I didn't mind. When I leaded, a huge gust of wind pushed everywhere from me. The park cars moving, their alarams going off. I quickly whistled and walked back into the apartment like nothing happened. One less thing for me to get in trouble for. I smiled to myself.